Blue Cares is proud to announce that Walmart has selected our organization to receive funding through its strategic Initiatives Program. The award total is for $25,000 in support of our Blue Santa Program. Created in 1976, The Blue Santa Program is all about bringing hope and joy to families that struggle to make ends meet during the toughest times of the year, the holidays. San Antonio police officers, volunteers, and Blue Santa, work very hard to deliver all the needed items to these underprivileged children and their families. 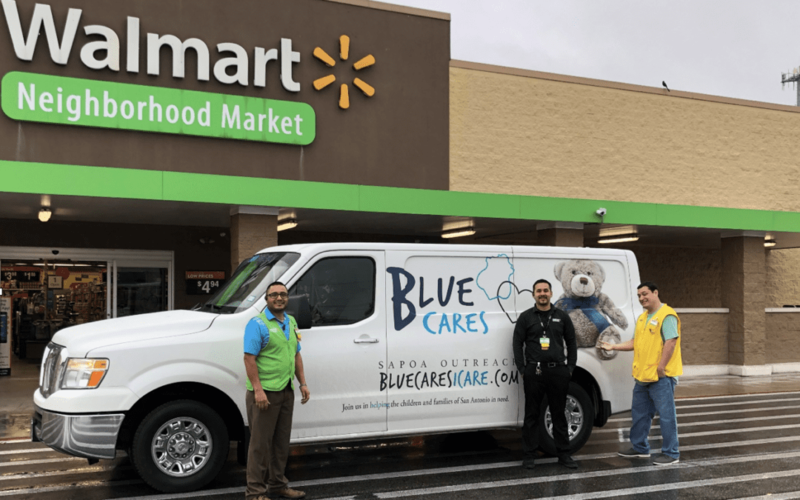 Blue Cares would like to thank Walmart and the Walmart Foundation for its generous contribution to Blue Cares and the Blue Santa Program.